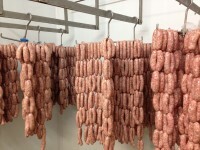 A BUTCHER has launched his own ‘Proudsville’ sausages to celebrate the success of Burnley FC this season. Daniel Heys, of Heys Butchers on Lyndhurst Road in the town, admits that the moment the Clarets equalised against Manchester City was not the ‘wurst’ time to toast the efforts of the Turf Moor side. 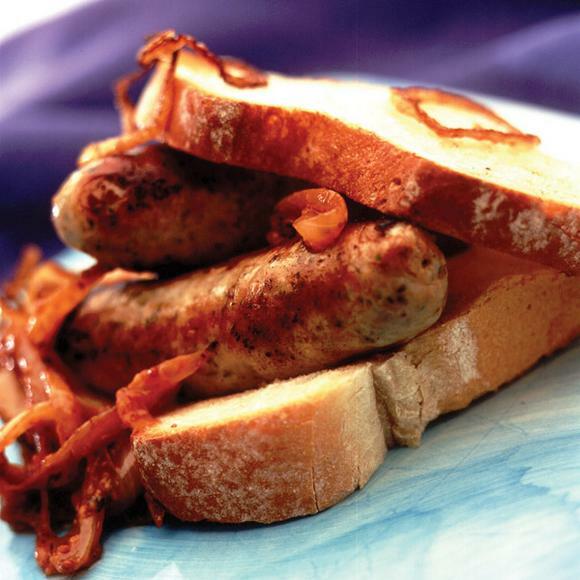 The ‘Proudsville’ sausage is a traditional sausage just like the club but has pepper, sage and thyme in the recipe. The butchers will be serving them up on toasted sandwiches before lunchtime kick-off games. The 38-year-old said: “Everyone is talking about the Proudsville thing, after manager Sean Dyche’s quote, and when we played leaders Manchester City and came out with a point. “We had the Worsthorne Nibbler which was made by dad and we just wanted to create another one after the success of that. “We launched it on Tuesday and had some great feedback on facebook and from the customers,” said Daniel. “Everyone who tried it bought it.